We are very aware that this is a business driven largely by recommendation, so it is in our aim to deliver only the very best work. From the work itself, to the ink and canvas we use, the way we frame and pack your picture, everthing we do is of the highest quality. But there’s no need to just take our word for it – check out that our customers have said about us! Go to our TESTIMONIALS page. 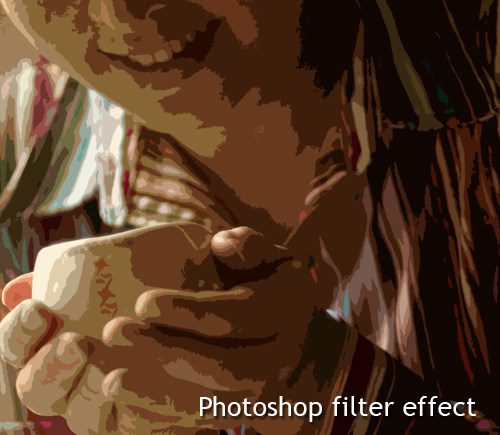 Our artworks are not about putting your photos through a couple of Photoshop filters on a computer– you can do that at home, so why pay us to do it? Depending on the style that you choose, each portrait is hand-crafted and takes up to 15 hours to develop. 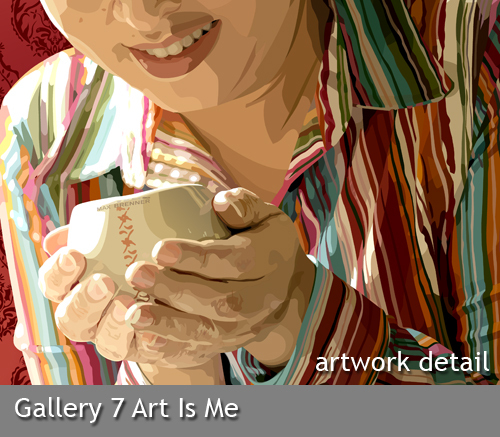 We carefully select the colors and details of your portrait. It is almost like “painting” a portrait but using the mouse as the brush. It is this investment in time and skill that makes our portraits so outstanding. Go to our GALLERY page to see our works. • Our inks are non-toxic and archival quality, which are UV-protective, water-resistant and has a 75 year life expectancy. 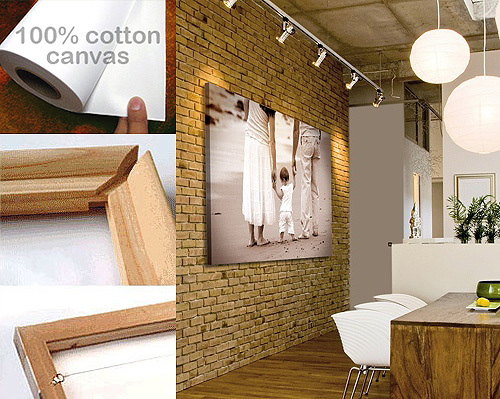 • All our canvases are stretched by hand on 1.5” or 3/4″ deep kiln-dried solid wood stretcher bars. They are light-weight and ready-to-hang. We use museum quality stretcher bars with an elevated rounded top that stands off so that the canvas doesn’t touch more wood than it needs to. Our wooden stretcher bars are completely dried so they won’t “twist” your artwork over time. The canvas is stretched, stapled and taped carefully at the back of the frame—not on the sides. This gives you a clean, seamless and modern look, so you don’t need to frame them. We do not seal the back of the canvas to let it breath. They are lightweight and ready to hang letting the canvas art hang safely and flat against the wall. All of our canvas prints are created using long-lasting archival inks that have received permanence ratings that well exceed 75 years. In addition, our canvas prints are treated with a UV and water resistant coating that protects against fading and dust, ensuring your canvas print will keep its original brilliance for generations. We use a special varnish to protect your artwork against moisture and abrasion. We use the kind of varnish used in giclée fine art and photographic prints. This varnish is non-yellowing and water based. Additionally, it will not only protect and preserve but it also enhances the color of the artwork. Everything is in-house. From the design, to printing, stretching, framing and varnishing, we do it all in-house. All prints are throughly checked by our staff at each stage of the process for faults, however small. If a canvas print doesn’t meet our standards, it won’t leave our doors.